Happy Friday everyone. I do hope you’ve had a good week and you’re looking forward to the weekend ahead. Tonight I’m off to the cinema with a friend to watch A Bad Moms Christmas which should be fun! It will also make a change to go to the cinema to watch something other than a children’s film! Then tomorrow, we’re off to Chester for the weekend to see my old school friend and her family. I can’t wait! 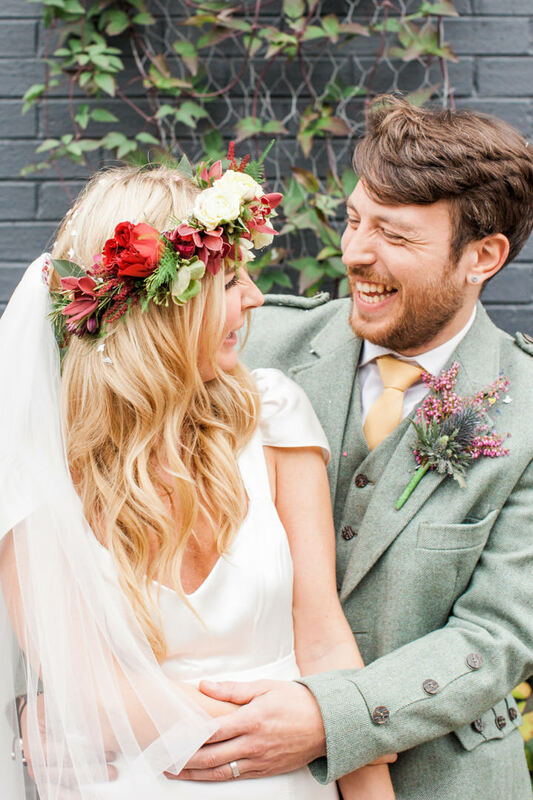 Before all of that, I have this super stylish Scottish wedding for you, and it was planned in just two months! 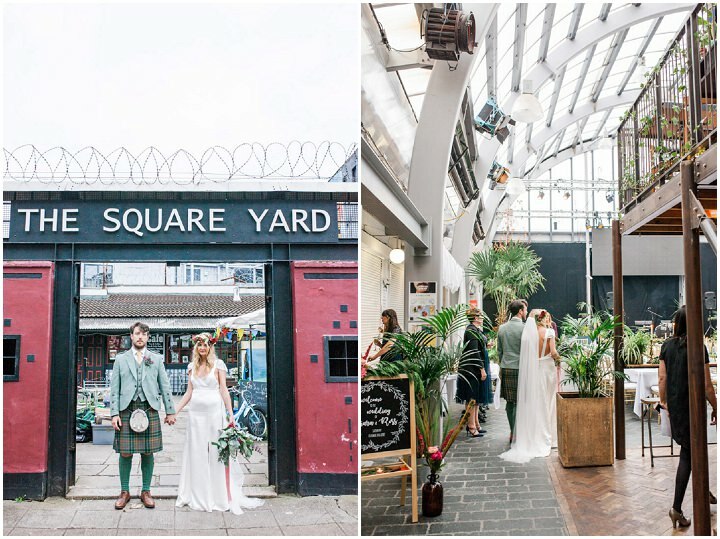 Ross and Ciara chose this fabulous industrial venue after a last minute cancellation, and filled it with the most gorgeous decoration, going with a ‘Fairy Woodland’ theme, mixing in foliage, apples, antlers and a whole garland of glitter feathers. 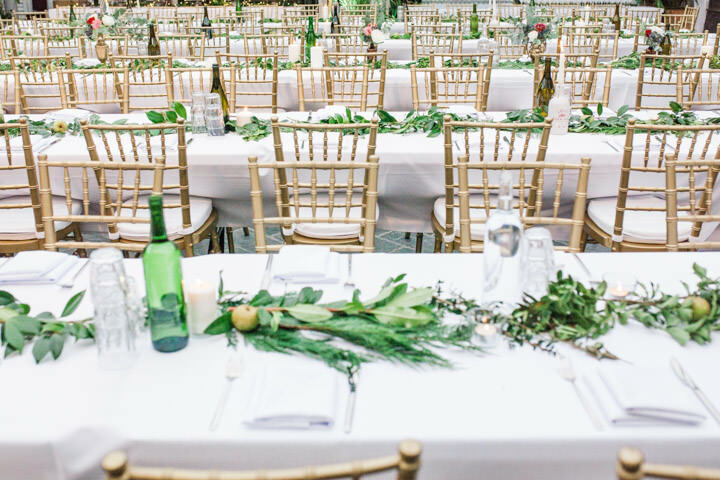 With so many DIY projects and friends and family helping out to make it all happen in just two months, this wedding is a real feast for the eyes. 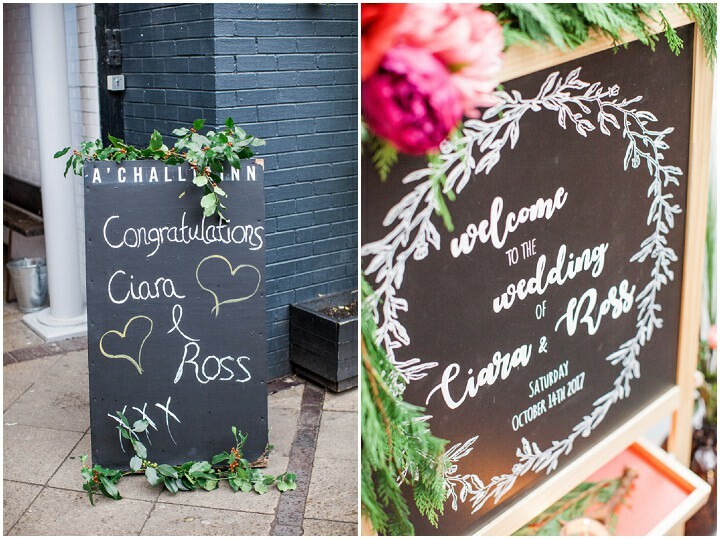 Big thanks to Roma Elizabeth for the lovely images. Magical, spectacular and authentic. Beautiful in every sense of the word, full of love and planned in just 2 months! 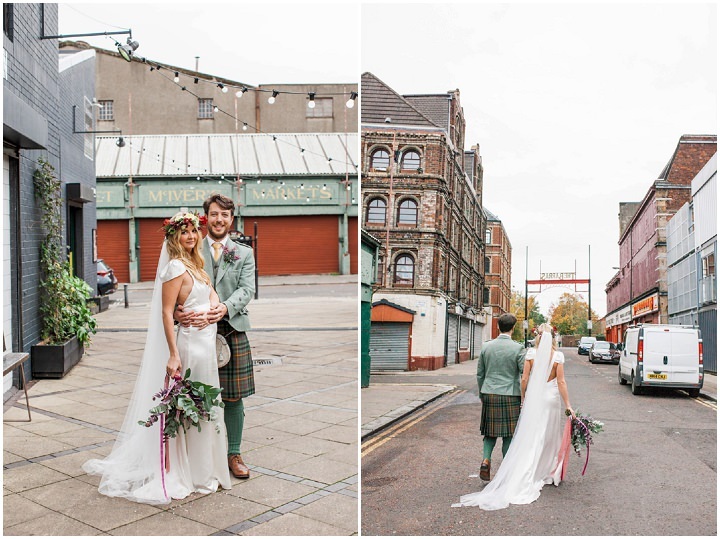 Ciara and Ross were married on 14th October, 2017 at St Brides Episcopal Church, Hyndland, Glasgow with a reception at Barras Art and Design (BAaD), Glasgow. ‘We were originally supposed to be getting married in Las Vegas in September as I didn’t think I wanted a ‘traditional’ wedding or a long engagement but I had a change of heart because my dad was very sad that he would not be walking me up the aisle, and, on reflection, it was madness for us not to celebrate with all our friends and family as they are so important to both of us. It just meant we had to organise it all pretty quickly. Now there’s a story! In June last year I went for an eye test. I’d never been to the optician so when Ross appeared I was surprised, because he was not what I expected an optician to be! We probably only spoke for about 10 minutes but I got this weird feeling. It sounds so cliché but it was honestly like electricity. 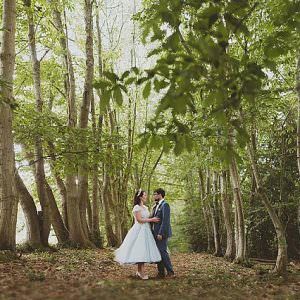 By the time I’d gotten back to work I was absolutely convinced I had to write him a note with my number on it – affectionately referred to by me and my friends as ‘the love note’. I’d never done anything even remotely like that before so I had no idea how to do it or what to say but I thought I had nothing to lose as I was unlikely to ever bump into him again if he didn’t reply. I went back and handed it to the reception desk the next day. Imagine my complete shock and surprise when on a rainy October Friday night, a few months later – my phone pings. ‘Hi Ciara, it’s Ross the optician’ he apologised for taking so long to get back to me (professional conduct code) and we went out on our first date the next night. The rest, as they say, is history. It was in May this year. 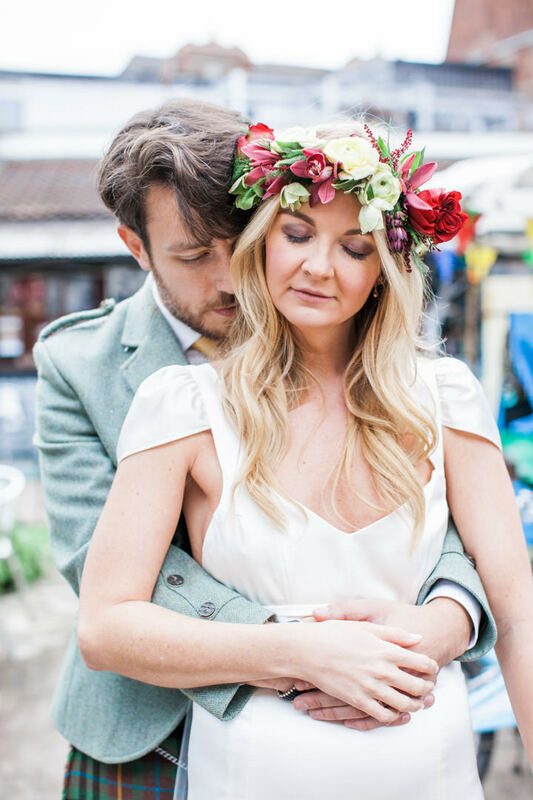 Ross’s best friend’s fiancé Jenna is a jewellery designer who lives in Amsterdam. Ross and Jenna designed the ring together with Ross’s mum’s diamonds – she sadly passed away 6 years ago. 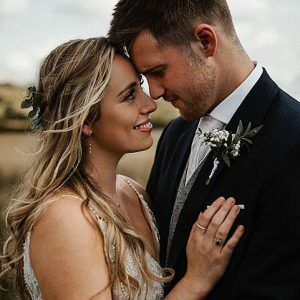 We went out for dinner to the place we had our first date and he pulled the ring from his pocket, it was so beautiful and unusual – I was speechless and can’t remember what he said exactly, I only know I said ‘yes’. 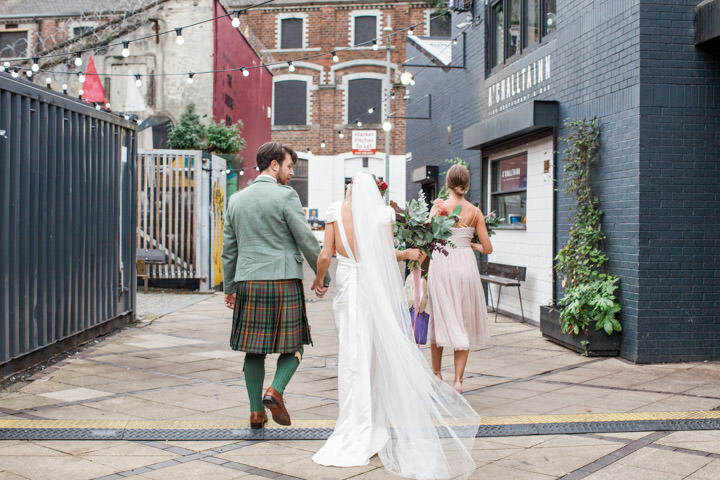 To be honest we’d decided we were going to get married on our fifth date (hence the Vegas idea!) and I wasn’t really expecting a ring so it really was the cherry on the cake. 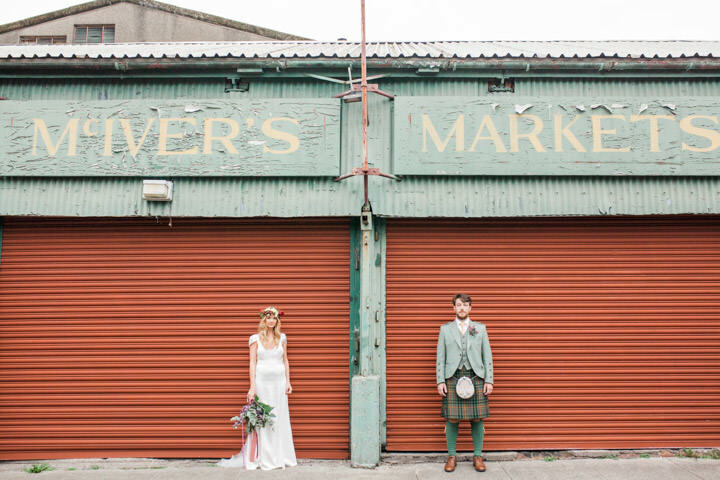 We didn’t have any money saved as it all happened fairly quickly with no budget per se. 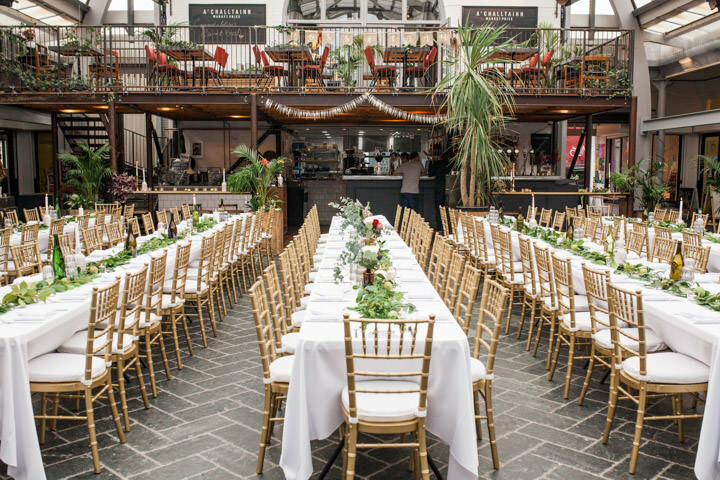 I knew the venue, food and drink would be the lion’s share of the spend and we were very grateful to have the financial support of my dad to help with this. I just looked to make as many savings as I could elsewhere in terms of decoration, flowers, photography and entertainment. The two biggest single spends were the venue including food and drink, and my dress. 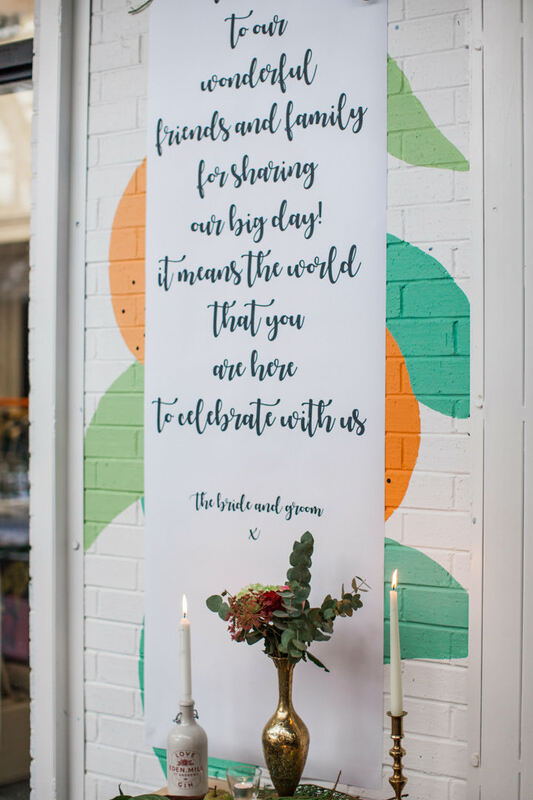 We had huge savings everywhere else because we had lots of help from amazing friends and family – and I looked for short cuts everywhere! The violinist for the church service was a family friend who played for free, the ceilidh band were friends of friends who gave us mates rates. 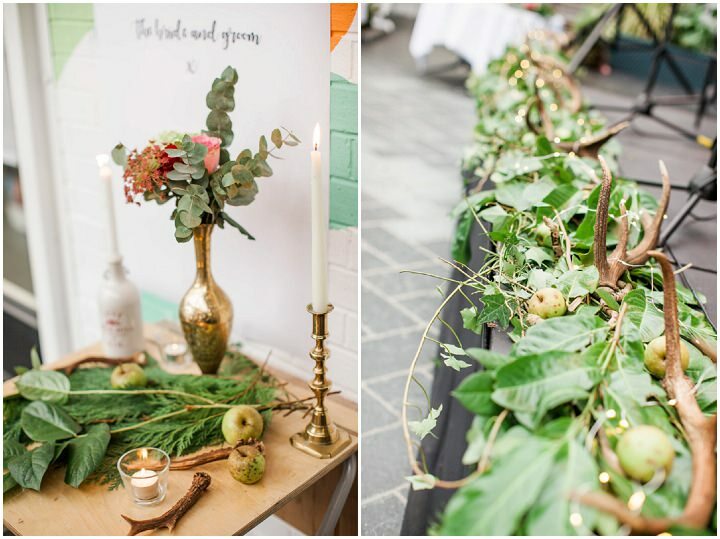 The vast majority of the decoration was foliage gathered from my dad’s garden, apples from the tree in my garden and antlers from a friend’s house in the Highlands. Eden Mill Gin very kindly sent me some of their gorgeous ‘LOVE’ bottles for my table settings. My sister made the cake. I made all the boutonnieres for the groomsmen myself. 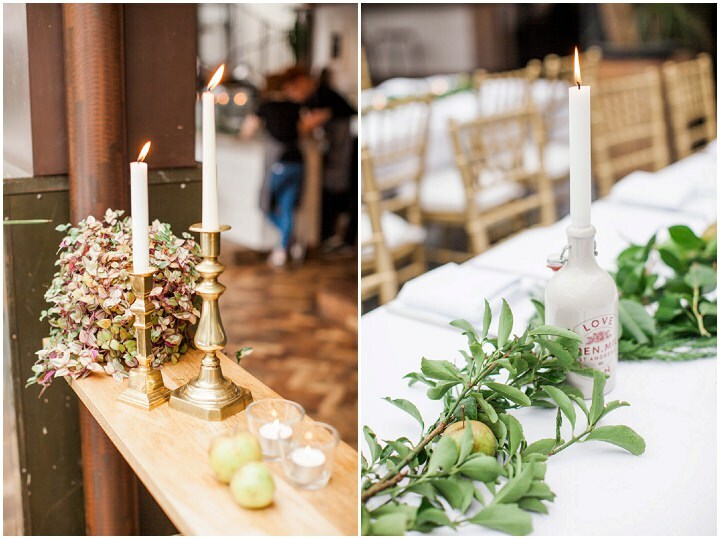 And my wonderful friend Nicolle did the flowers and venue styling. 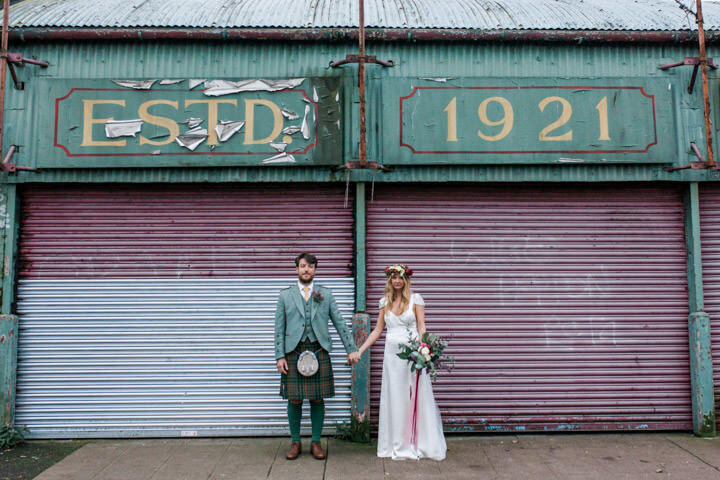 It was a DIY wedding for sure! 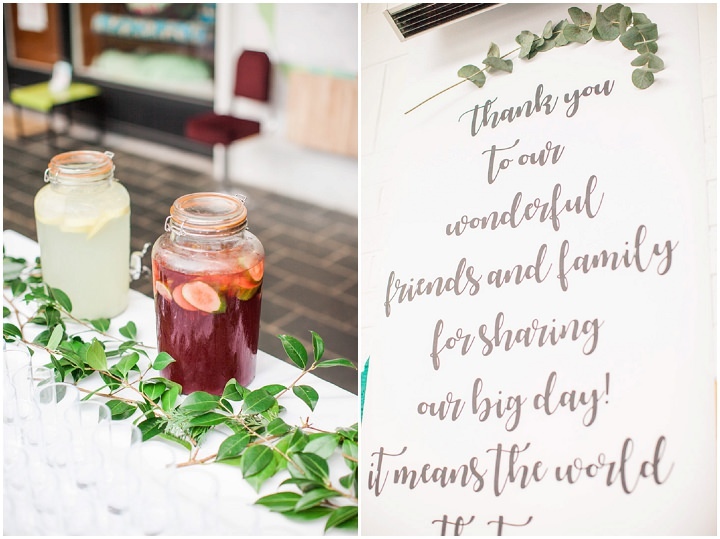 I was completely overwhelmed by the kindness and generosity of everyone involved – it made the whole experience all the more special. Roma Elizabeth is a friend of a good friend of mine. I got in touch with her to explain that I was on a tight budget and only really needed a few nice pictures as Ross and I had family friends to take photos throughout the day. She was incredibly accommodating and helpful, especially as the type of photographs I was looking for weren’t her normal style. 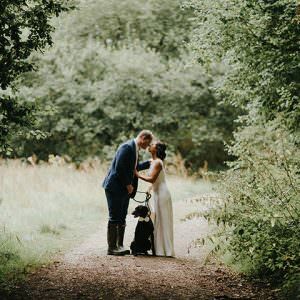 She proved herself to be an extremely versatile photographer as she captured the more moody look I wanted as well as taking some more gorgeous romantic images, and fantastic ones of the venue. I was absolutely delighted with them. My dress was made by the genius Wendy at Flossy and Dossy. 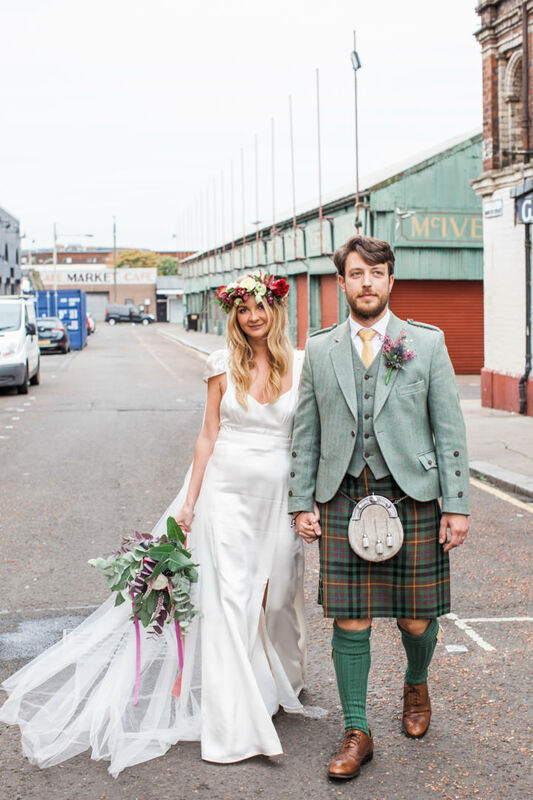 It was a bespoke ivory silk dress made from scratch, based on a dress I’d seen years before that I always knew I wanted my wedding dress to be like – it’s got a very vintage boho vibe, a random mix between 1930’s and 1970’s design. 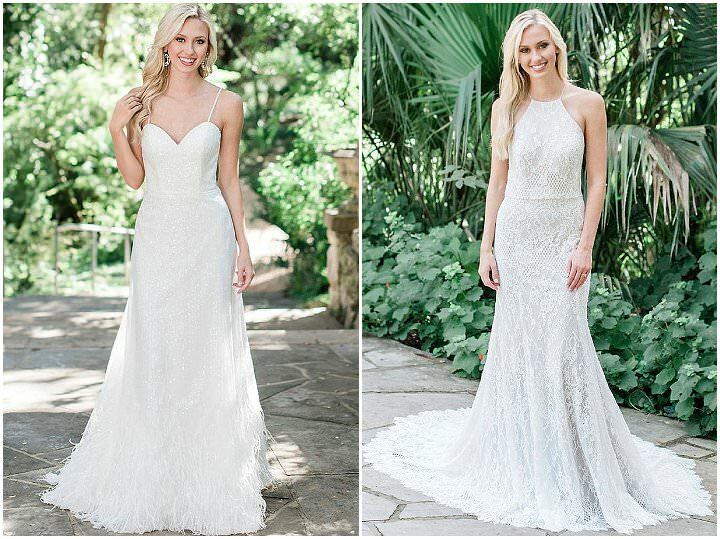 It was the dress of my dreams and Wendy was an absolute joy to work with. My shoes were £14 from Amazon but I loved them (they looked like Minnie Mouse shoes!) and I had a long veil that I got on Ebay for a tenner. 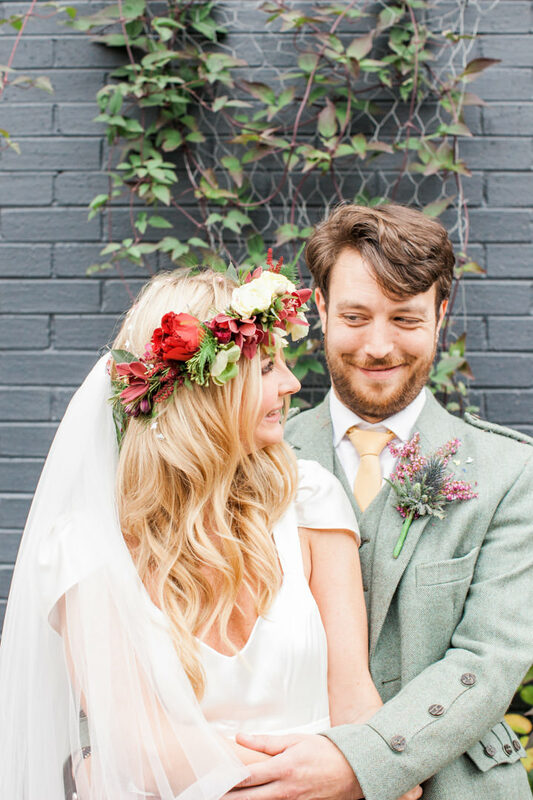 My treat was a stunning real flower crown made by Glasgow-based florists Little Botanica. 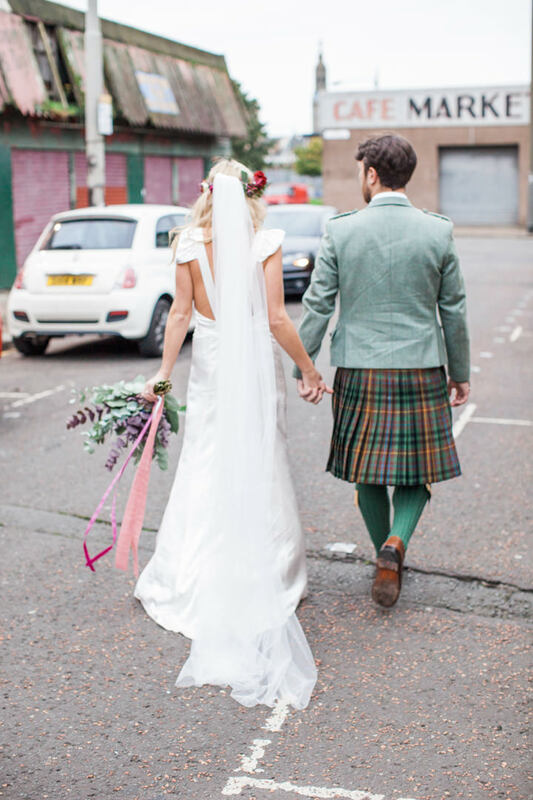 Ross wore a kilt and green tweed jacket hired from Slanj. 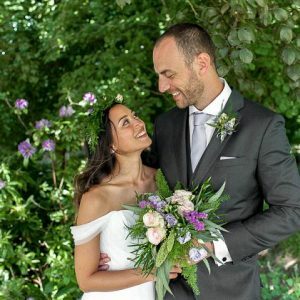 The bridesmaids were all in slightly different dresses in different colours by Maya which is stocked on ASOS – I had 7 bridesmaids so it was better that they all looked slightly different to avoid the family Von Trapp vibe! The dresses all had twinkly tops and tulle skirts. 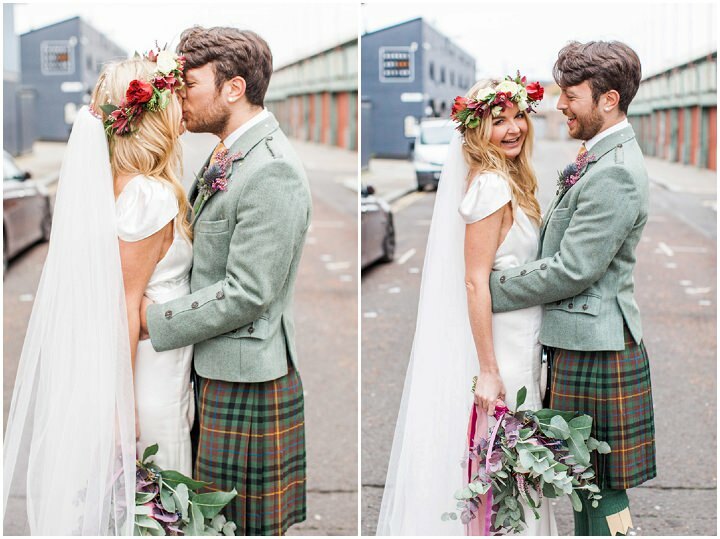 I wanted the wedding to have an ethereal, wild, Scottish, autumnal feel (if that makes sense!) The colours were dusky pink, navy blue, deep red, cream, gold and lots of real green foliage and apples. 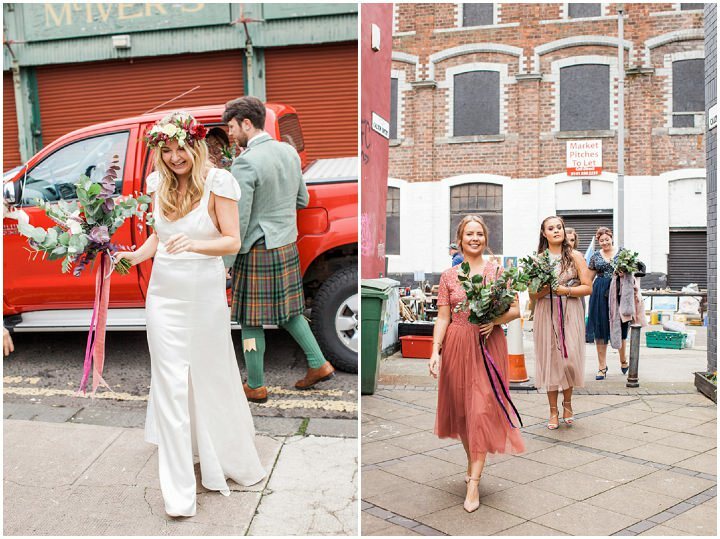 The flowers and foliage in the bouquets were a mix of roses and wild flowers with eucalyptus and thistles and long velvet ribbon ties in the wedding colours. 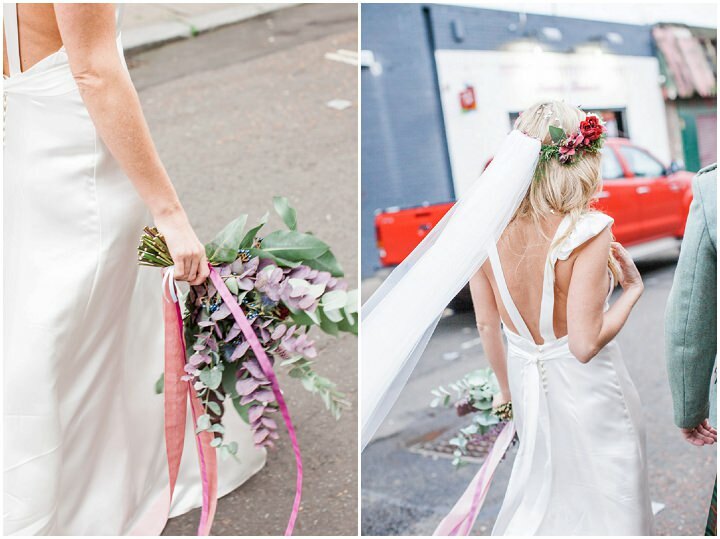 Once I had picked the flowers, the bouquets were all made up by my friends Nicolle and Jess who have wedding styling boutique called Wild Antler. 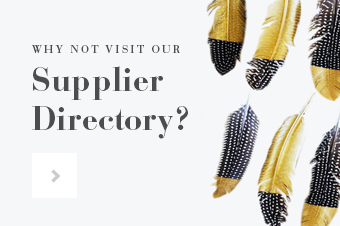 They are complete visionaries and I can’t recommend them highly enough. 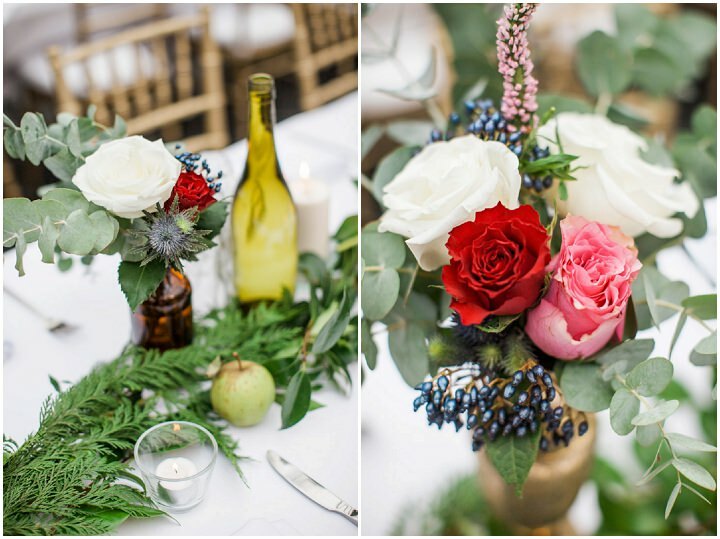 They also placed posies around the venue, a mix of real and faux flowers that looked absolutely amazing. 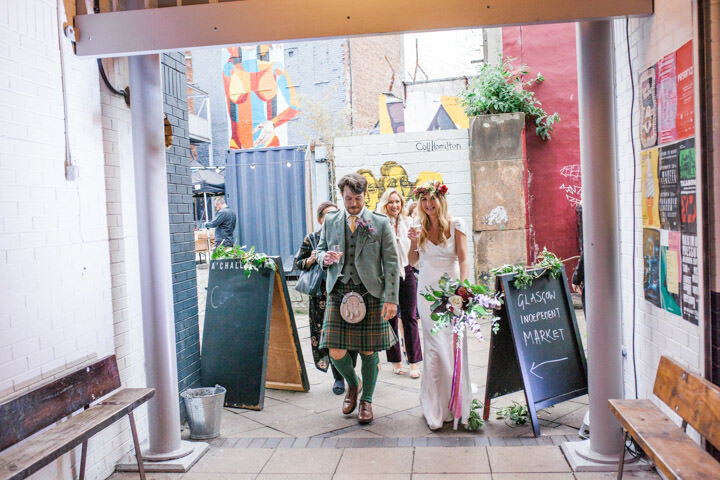 Nicolle and Jess at Wild Antler pulled together all the random bits and pieces I’d gathered for the wedding and made the venue look like a fairy woodland. It was so beautiful and exactly how I hoped it would be. 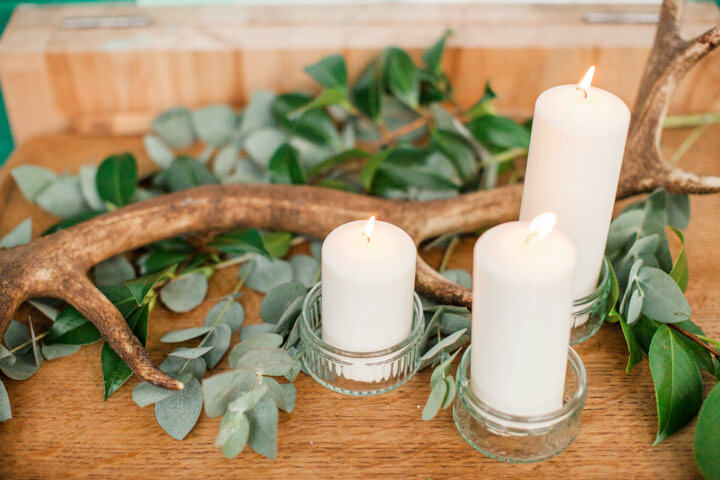 Lots of twinkly fairylights, candles, greenery, antlers and beautiful blooms. 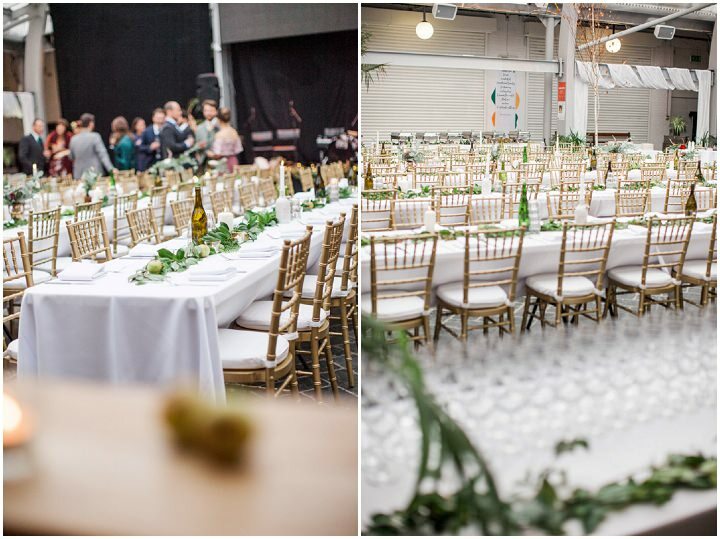 We had five long bench style tables with gold chairs, white linen, and decorative foliage and apple runners down the middle. 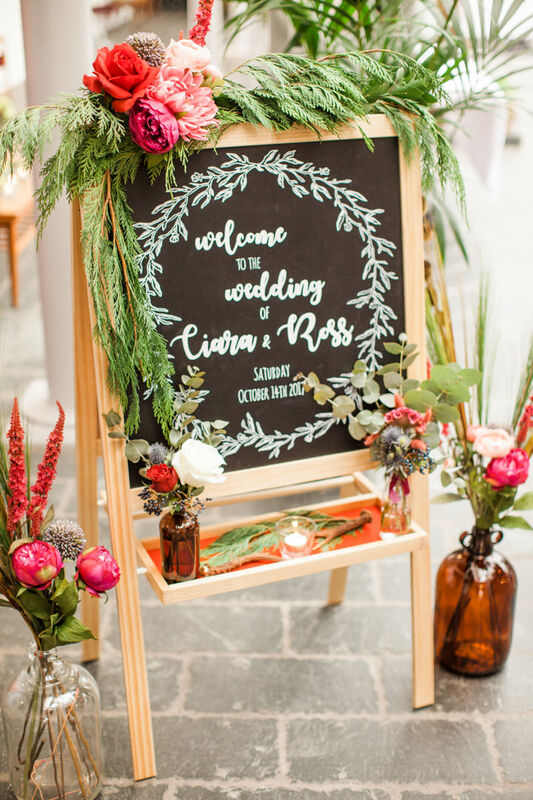 I didn’t have a table plan as I wanted there to be a very relaxed informal feel, so we had a buffet of four different autumnal pies, honey roasted root vegetables, and sweet potato mash and everyone sat where they liked. 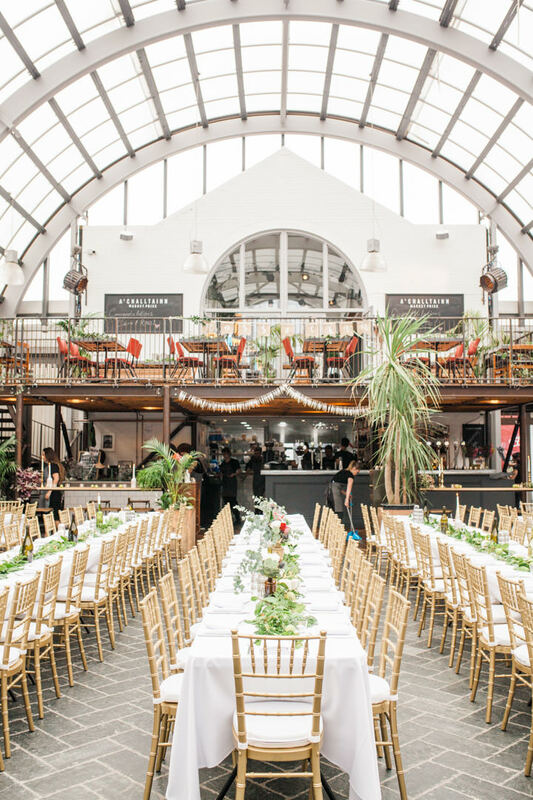 It was fab and everyone loved the food so much – it was really delicious, a highlight of the day! My sister has her own cake company called Rawnchy. 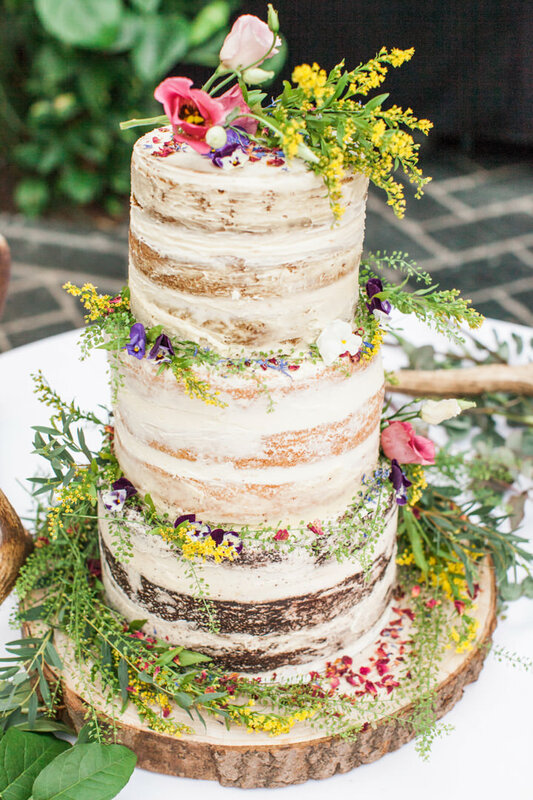 She usually does vegan raw cakes but kindly went off-piste to make me a three-tiered cake with layers of chocolate Guinness, lemon drizzle and carrot cake. 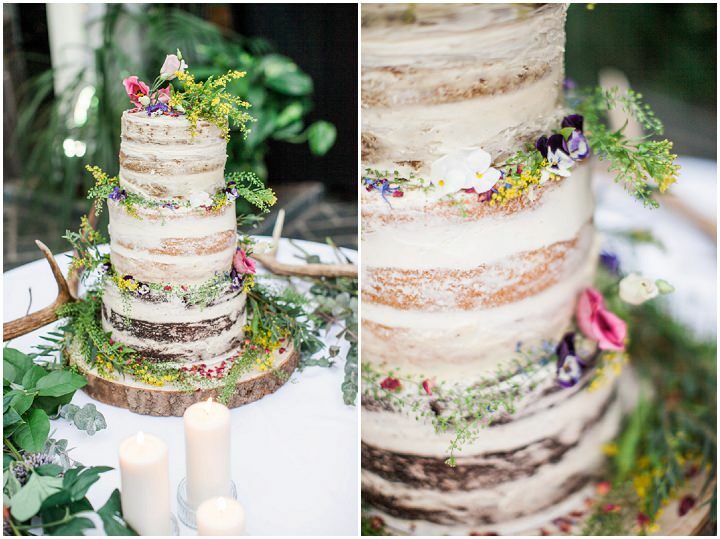 It was decorated in a ‘naked’ icing style with wild edible flowers. It looked unreal and tasted yummy! 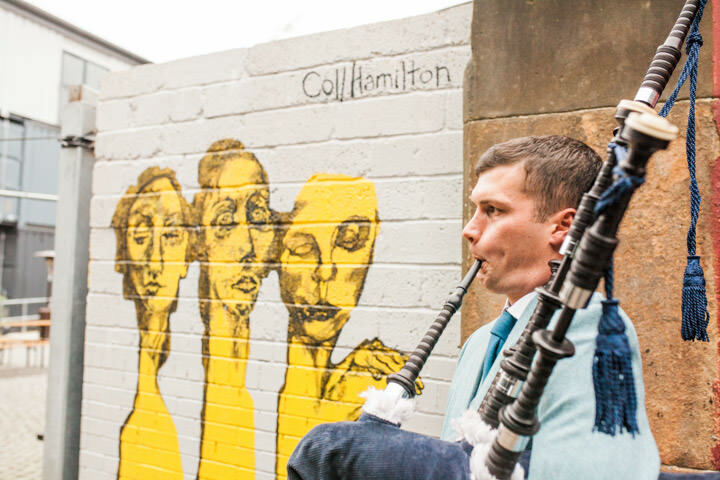 My bridesmaid Charlotte’s boyfriend Michael played the bagpipes for everyone arriving and we had an Irish ceilidh band for an hour and half followed by an 80’s disco with a playlist put together by Ross’s dad – he’s a big music lover. 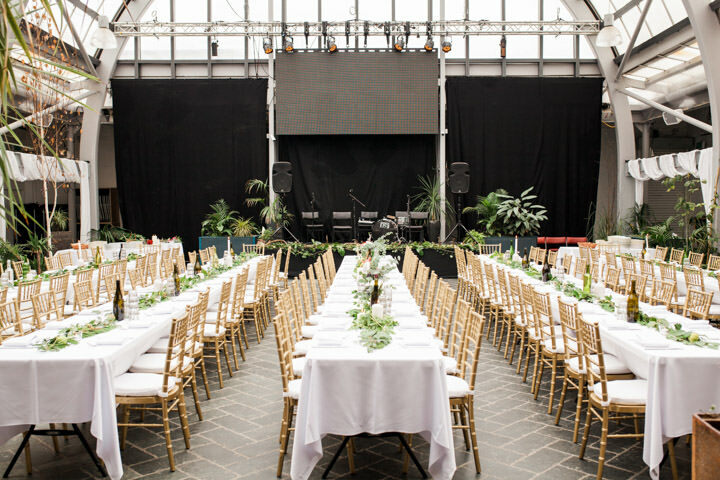 We were lucky because BAaD is used as a gig venue so they have a very high tech sound system. 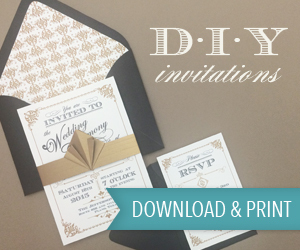 My lovely friends Nicolle and Jess at Wild Antler designed the stationary and I had it printed at printed.com. We did most of it ourselves! 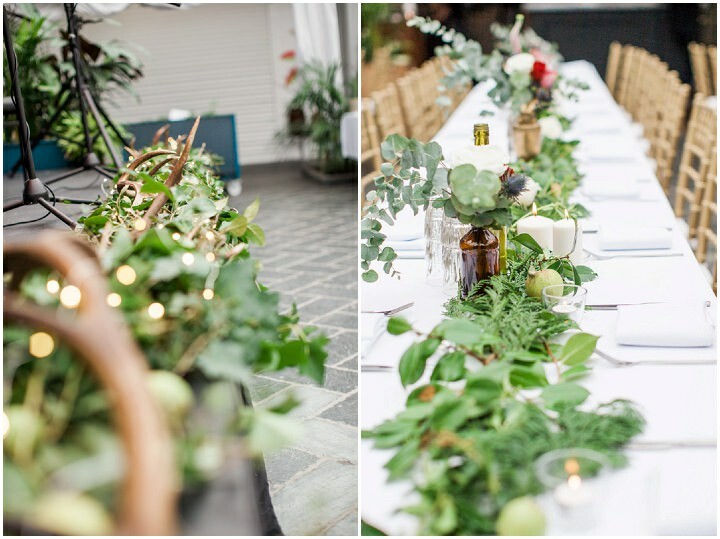 It was lovely to have the foliage from my dads garden and the apples from our garden on the tables. I have since made an apple pie with the leftovers which feels very full circle. 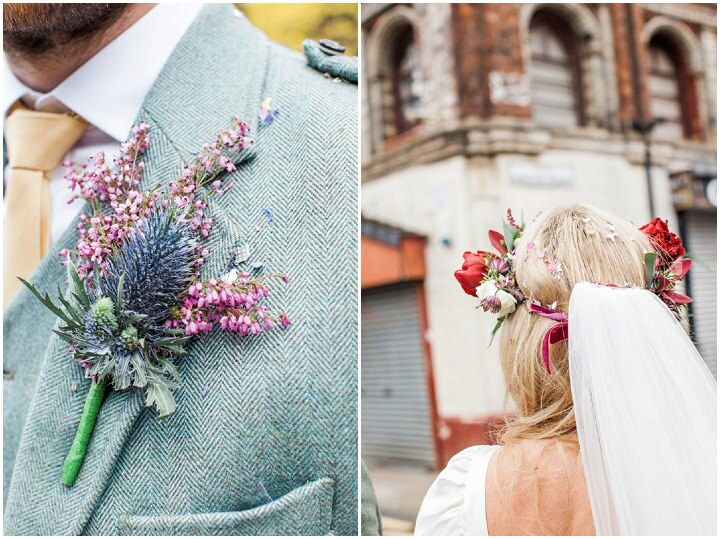 I was very proud of the boutonnieres I made with one of my bridesmaids Rosie as we’d never made them before. 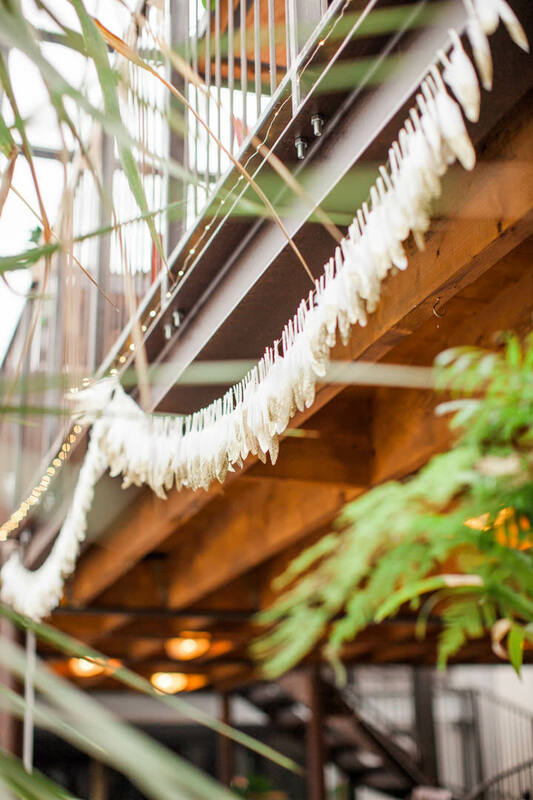 Ross also made an amazing feather garland for the venue. I had seen these gold glitter white feathers on Pinterest and decided to buy 400 white feathers on Ebay to try and recreate them. It was easy enough to spray each feather half in glue and then dip the ends in gold glitter, but then I had no idea how to string them together! We bought some gold wire string and Ross sat for two days individually piercing each feather with a sewing needle and stringing them together. It was a labour of love but it looked amazing and we’re putting it up in our living room so it will live on. Getting ready with my bridesmaids in the morning was so fun, especially putting my dress on. Walking up to the aisle with my dad and seeing our loved ones’ faces. 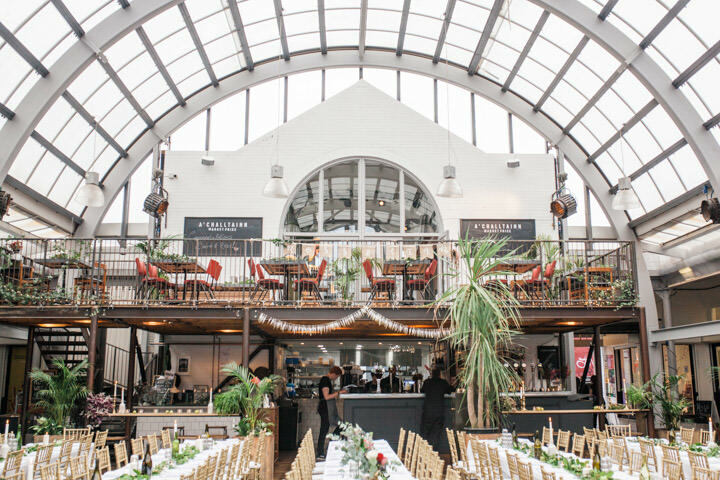 Also seeing the venue for the first time – Wild Antler did the most unbelievable job making it look just as I hoped it would and more. My dad’s speech had me in floods of tears – it was simply wonderful. But the best part of the whole day was standing beside Ross, squeezing his hand and saying our vows. It was a magical moment, and that’s what it’s all about really isn’t it? I think it’s easy to get caught up in the all the pre-wedding madness and forget what it’s really about. I definitely had some hairy moments myself (!) but try not to get too stressed if possible. How quickly it goes by and how few people I was able to speak to properly! I wish I could do it 10 times over so I could have a good chat every one of the guests. It’s the best day of your life – it’s true what they say.